Video Interview Deja Vu: Should You Rehire Ex-Employees? Is your next great hire actually a distant memory from the past? As the skills gap grows wider between the qualifications employers look for and the skills job seekers possess, it could be time to look into your company’s past for the solution. It might seem counter-intuitive to some, but perhaps your history holds the key to your company’s future. Recently some companies have been looking to ex-employees to fill current openings. Why? Because these boomerang employees can make good financial sense. There’s less training involved and you don’t have to worry about whether the candidate will fit into the company culture or organizational environment. They’ve already spent time in the company trenches and if you’re seriously considering hiring them again, they used their time in the company wisely to impress you. How Do You Find Former Superstars? If you’re seriously considering looking back in time to find your next great hire, you’ll first need to find these talented candidates. The best way to connect with your former employees is to never lose touch with them in the first place. Setting up a company alumni network online is a great way to develop a standing talent pool of candidates you know and who you can tap at a later date if the perfect opportunity arises. But you can’t just set up an alumni talent community and hope for the best. You need to foster the relationships with former employees using social media, networking events and your community. Use your community to share jobs, update company information and spark discussions. This way you’ll have a better idea of which of your former employees would be interested in becoming current hires. How Do You Video Interview A Past Employee? If you’ve developed a good alumni talent network and you have a top candidate in mind, it’s time to think about the interview. Whether it’s an in-person meeting or a video interview, boomerang employees present their own unique challenges. You need to make sure the candidate is still interested in the company and to ascertain the reason they left. This is the most important question to ask a boomerang employee for very obvious reasons. If the employee left the company in a huff because they hated the work environment, this isn’t a worker you need to bring back into the fold. There are, however, plenty of reasons good employees leave a company they love. For instance, maybe they had a family issue which necessitated taking some time away from work. They could have decided to start a family. Perhaps the reason you’re speaking with the candidate in a video interview is because they moved away from the area. Make sure the reason your candidate left won’t lead you to lose them again. You’re hiring a boomerang candidate based of the perceived value they can bring the company. This value is negligible if you hire an ex-employee only to lose them again. What Did You Like Best About the Company Culture? What Did You Like Least? This is another essential question to ask candidates in the video interview. Company culture makes a huge difference to whether a candidate will stick around or head for the hills at the first opportunity. Employees who left your company but loved your company culture are the kind of boomerang workers who will hit the ground running and bring real value. You can’t just ask a candidate whether or not they like the company culture, however. If the candidate is sitting across from your desk or on the other side of the webcam in a video interview, it’s because they’re interested in the job. If you ask flat out whether they liked the company culture, you’ll get a pat answer. Instead, ask for specifics about what they liked best and least about the company culture. Company cultures change all the time, and perhaps the thing they liked best about yours has done a 180 since they last worked at your organization. What Have You Learned Since You Last Worked Here? You don’t want to hire the same employee who used to wander the halls of your company- you want to hire a better worker. This is why it’s important to make sure your candidate has used their time outside your company to learn and grow. Don’t let them feed you a vague answer. Make sure to ask for specifics on what they’ve learned. Hiring ex-employees can bring a huge value to your company by supplying you with talented workers who know your organization. But these candidates are only useful if they’re willing to stick around. Make sure you’re asking the right questions in the video interview and you’ll be sure your future looks as bright as your past. What are some questions you’d ask ex-employees during a video interview? Share in the comments! 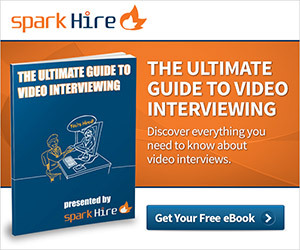 How Do I Video Interview…Job Hoppers?